"Lidya" (not her real name) is well aware of the cost to follow Christ in the Muslim-dominated nation of Indonesia. Her story is not uncommon in the Muslim world, where some women are abandoned, tortured or even killed by their husbands for becoming Christians. But despite the cost, Lidya will not be intimidated from telling others about Jesus and what He has done in her life. Watch this 4:15 minute video today to hear Lidya’s story. 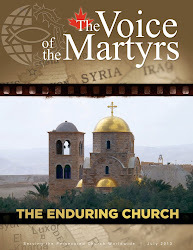 For other videos about persecuted Christians, visit our multimedia site. To learn more about Indonesia’s suffering Church, click here.